School’s out and many young people will be hitting the job market for the first time. While youth unemployment is somewhat down (currently at 10.9%), these numbers hide the reality that too many educated young people end up settling for dead end jobs that don’t use their abilities or offer much hope for the future. As I see it, the problem isn’t lack of jobs or even of the right skills, but rather, lack of preparation and know how to get the jobs that match their abilities. In a nutshell, schools – other than professional schools – don’t teach students how to get a job. And the vast majority of students don’t give planning their careers much thought or, access the career services that are available to them until after they graduate. So, if you’re in the class of 2019 (or 2018!) and not sure what to do and where to start, here’s my best job search advice for new grads. While the knee jerk reaction is to jump right in, the key to an effective job search is what you do even before you start applying. Bottom line, you need to do some soul searching. What interests you? What do your personality preferences tell you about the type of work that’s right for you? What skills have you gained in school (and elsewhere) that you might want to use in work? Taking the time to reflect on these questions will help you clarify what you’re looking for and bring focus to your job search. Once you’re clearer on your skills and preferences, the next step is to identify the kinds of jobs that are the best match. Unfortunately, if you’re like most graduates, you have very little knowledge of the world of work beyond school – of what different job functions involve or what sectors of the economy might be appealing. What you do have, however, are research skills. There is a tremendous amount of information available online, and Canadian job sites such a Talent Egg, Job Postings and The Career Directory specifically address the needs of entry level job seekers. And once you’ve narrowed the options, there is no substitute to talking to people find out as much as you can about the work itself, salary prospects and the employment outlook now and in the future. By this point, you should have at least a general idea about the kind of work you’re suited to and of organizations and industries you’re most interested in. This will give you a huge advantage in your search. It will allow you to communicate more confidently about yourself, and be more discriminating in what you apply to. Without bogging down in the details, my main tip for an entry level resume is to have a summary section at the beginning that provides an immediate impression of who you are and what you’re looking for, as well as your key strengths and experience highlights. This sets the stage for the sections on education and work experience. Be sure to include details of volunteer and other activities as well. Employers are interested in who you are as a person and, with limited job experience, this information provides invaluable insight. LinkedIn has become indispensable for job seekers at all levels. It’s a great way to keep in touch with your contacts. It’s terrific for researching companies and identifying people you may want to connect with. It’s also a primary source for recruiters, even at entry level. And you can be sure that potential employers – and every new person you meet – will be checking out your profile, so make sure you put your best foot forward. 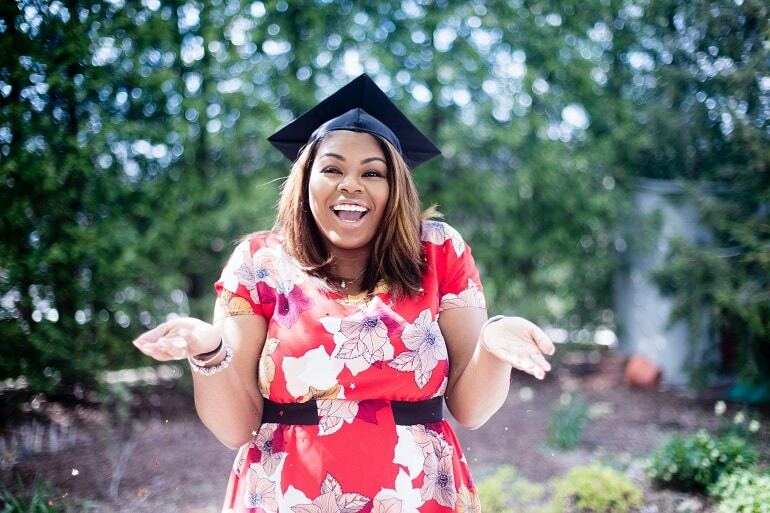 This article has some excellent advice for new grads getting started using LinkedIn. It’s well known that your chances of being considered for a position are much greater if you have a connection. But before you start talking to people, you’ll feel a lot less anxious if you prepare your sound bites – your elevator speech, what you’re interested in, your strengths, stories of your successes that you can weave into the conversation. You need to be able to provide enough information about yourself and what you’re looking for so your contacts can help. Finally, you’re ready to launch your job search! Now it’s time to put your full energies into your search – applying to postings that fit your criteria, getting the word out with people in your networks, and attending meetups and industry events to make new connections. As you can see, the whole process takes time, energy and perseverance, especially if you’re graduating from a general arts or science program where the path to employment is unclear. It involves developing self-awareness and a whole new set of skills that are very different from those you learned in school. Above all, it involves going out of your comfort zone. But the rewards are huge. Not only will you obtain a job that fits and holds future potential, but you’ll know you’re building your career on a solid foundation of information and skills that will serve you well through life.